Lelo in Nopo: Are you really listening? My nephew is. He's listening very, very carefully. I think it feels good on the ear. 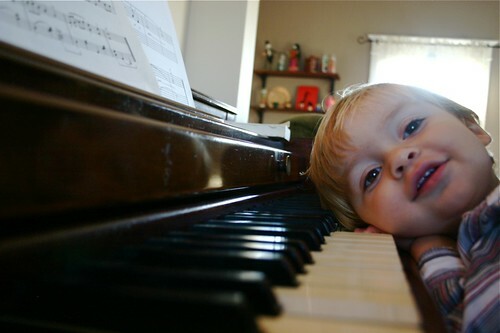 He has a thing for the piano. It's mesmerizing to him and he'll sit here with me for the longest time ever, playing along with me, just listening, and when we're done, he uses sign language for more. More, more, more he signs. He can't talk but he's clearly telling me he wants more. 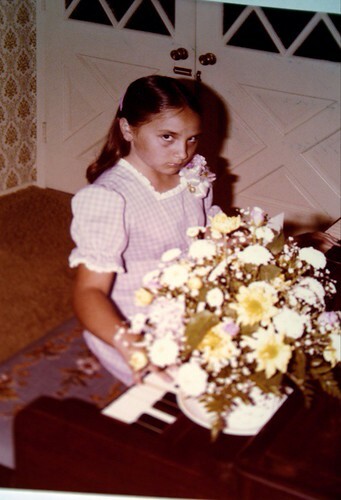 This is the piano I grew up playing. The piano my siblings played. The piano my mother played. It was her mother's piano. It's traveled from Kansas to California, and then on to Oregon. It was once pulled up the stairs of my loft by men who actually strapped themselves to it and rolled it along N. Lombard and up a flight of stairs. I need to have it tuned desperately (if you have a Portland recommendation for a tuner hook me up!). This is the time of year it's used most for holiday sing-a-longs. I like Christmas music. I can't sing, but I accompany others who sing. And I duet. Duet's are fun. Especially with my nephew. I say "hit it" and he hits it. Here's to holiday music. Oh I miss duets with my dad! I would play something like Heart and Soul and he would riff something along the base line. I still can't play Heart and Soul without thinking of the fun we had. 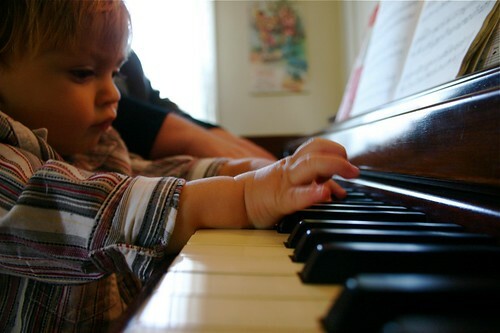 And don't I WISH I had that piano I grew up with..........I can feel LOTS of memories as you wrote this. I'm envious..........This digital thing aint' the same at all! I have the best piano tuner for you -- send me an e and remind me to give you his name.